The first White Queen program featuring author Philippa Gregory discussing the history behind the series is available NOW on YouTube and it is just OUTSTANDING. Try to read this blog before you watch, it will help you establish an emotional connection with these powerful historical figures. 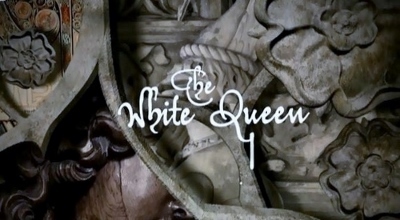 Wikipedia describes The White Queen as “a British television drama series based on Philippa Gregory’s bestselling historical novel series The Cousins’ War.” It’s scheduled to be broadcast in the U.S. on Starz on 8/10/13. 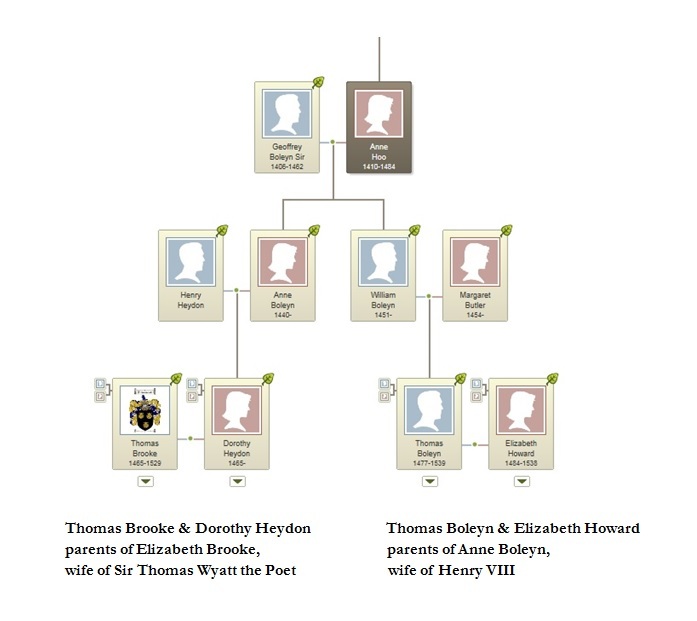 Wyatt descendants are related to all three through Elizabeth Brooke, wife of Sir Thomas Wyatt the Poet. The question is “how?” I’ve researched these ancestors and added that info to my ancestry.com account to determine relation. I’m a Baby Boomer, so I hope that by posting my relation you will have some sense for yours. This was a lot of work, I imagine it will need tweaking. Her family was despised for their greed and the king’s brothers – and the powerful Warwick – were her enemies. Anne Neville is our second cousin (16x removed); she was the wife of Richard III … who personally tortured our ancestor Henry Wyatt (14th Great Grandfather.) 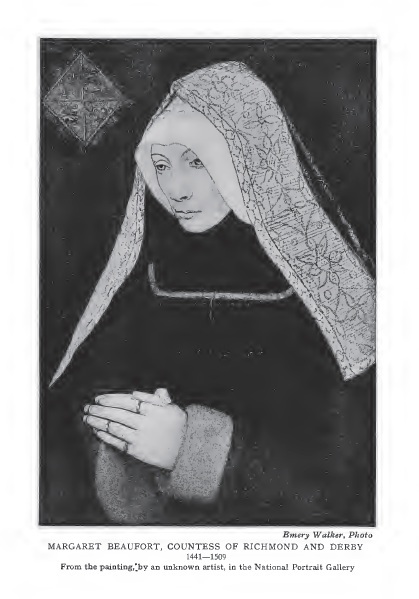 Margaret Beaufort – forced to be a political chameleon – humbly carried her train at their wedding. 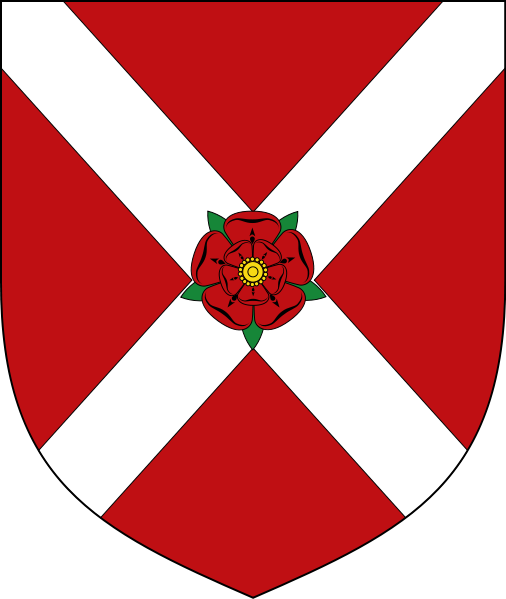 Margaret Beaufort is our second cousin (17x removed); as Lancastrian heirs continued to die on battlefields, her son became the last hope of the line. These notes will give you some background as it relates to our heritage. It seems everyone in these courts was related. Edward was born was born 13 Nov 1312 in Windsor Castle, Windsor, Berkshire, England. Edward was crowned at Westminster Abbey 29 Jan 1327. 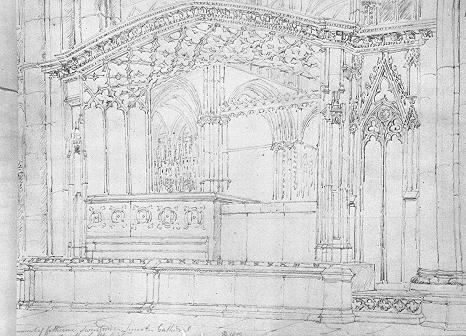 Edward married Philippa of Hainault on 24 Jan 1328 in York Minster. She was born 24 Jun 1311 in Valenciennes. 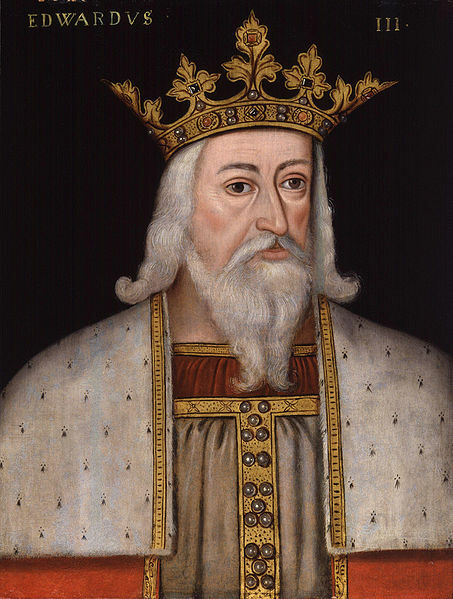 The king died 21 Jun 1377 at Sheen Palace Richmond and was buried in Westminster Abbey, London, England. Philippa died 15 Aug 1369 in Windsor Castle, Windsor, Berkshire, England and was buried in Westminster Abbey, London, England. John was born Mar Mar 1340 in St Bavon’s Abbey, Ghent, Flanders. His first marriage was for love, that wife was Blanche of Lancaster. Their children were Philippa, Queen of Portugal (1360-1415), Elizabeth, Duchess of Exeter (1363-1425) and Henry IV (1367-1413). Catherine Swynford, Blanche’s friend, helped raise the children when she died. Note that I don’t document our relations through his other wives; knock yourselves out! Between them, John and Katherine started the Tudor and Yorkist Royal Houses. Most of the European Royal Houses trace their origins back to them through intermarriage. Also note that John admired the writing of Catherine’s brother-in-law (her sister’s husband) – Geoffrey Chaucer. 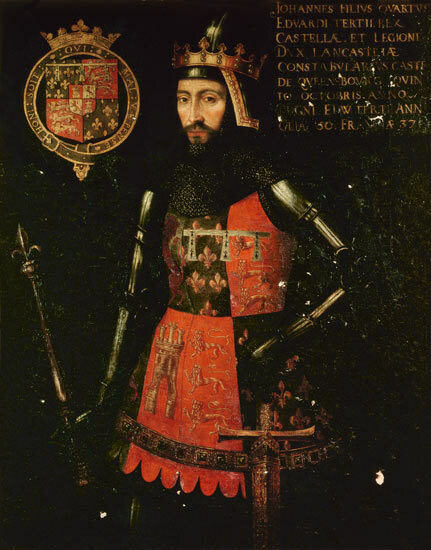 Their son John Beaufort (1372 to 1409) had two sons Henry, Earl of Somerset and John, Duke of Somerset who fathered Margaret Beaufort. He committed suicide after the shame of being banished from court. His rich daughter was just a little girl, but she was married off to the king’s half brother Edmund Tudor. He should not have “taken” her so young, but it was the only way to secure his rights to her properties. He died of plague before his son Henry was born and she was so young she barely survived childbirth. She never had another child, so Henry’s advancement was her obsession. Margaret is second cousin 17x removed. Lady Joan was born in 1379, daughter of John of Gaunt, the powerful Duke of Lancaster. She married RALPH NEVILLE, 1st Earl of Westmoreland, 4th Baron Neville of Raby on 3 Feb 1396. (Ralph was born 1364.) 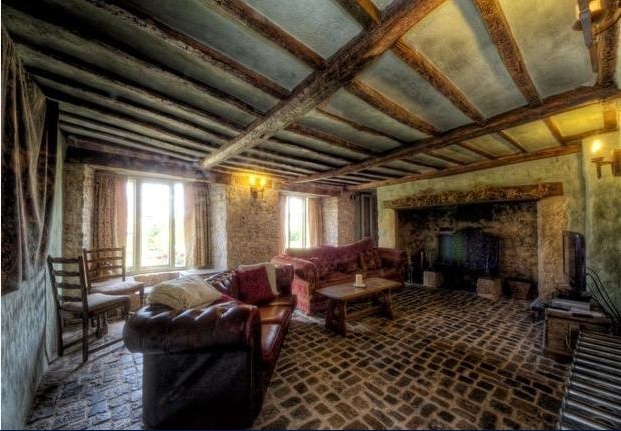 They had 14 children – two of them had children who were historically significant and the third gives us our connection to the Howards. The couple’s son Richard Neville, 5th Earl of Salisbury (1400 – 31 December 1460) was a Yorkist in the early days of the Cousins’ War. He married Alice Montacute or Montagu, 5th Countess of Salisbury. Their son Richard Neville, (22 November 1428 – 14 April 1471) 16th Earl of Warwick was the rich and powerful Kingmaker; first cousin 17 times removed. His wife was Lady Anne de Beauchamp. 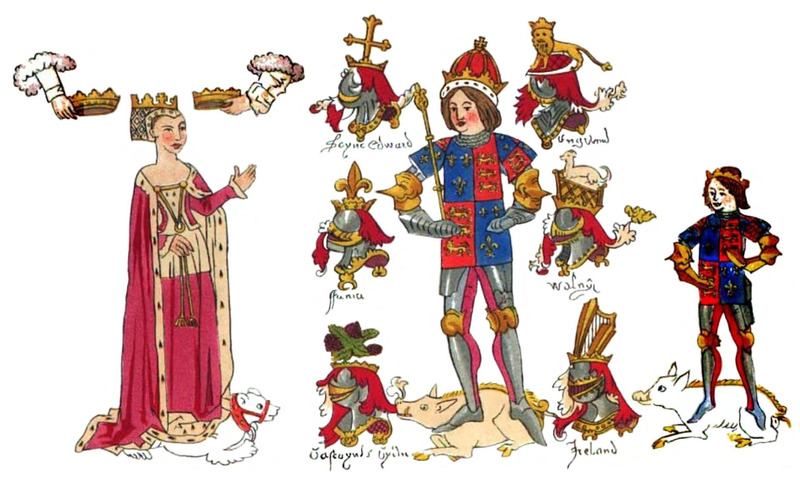 Their daughter Anne (11 June 1456 – 16 March 1485) became the wife/queen of Richard III. She is 2nd cousin 16x removed. Grandmother of Elizabeth of York, beloved wife/queen of Henry VII. Joan died 13 Nov 1440 in Howden, Yorkshire and was buried in Lincoln Cathedral. Ralph died 21 Oct 1425 in Raby Castle, Durham and was buried in Staindrop. Edward was born in 1417 in Raby Castle in Kent. He married CATHERINE HOWARD on 15 Oct 1448. 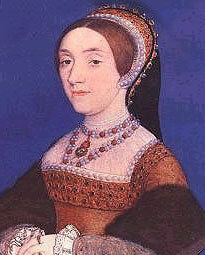 Catherine Howard was born in 1414, the daughter of Sir Robert Howard of Stoke Neyland and Margaret Mowbray. Her grandparents were John Howard, Sheriff of Essex and Alice Tendring. The Boleyns are also related to the Howards. 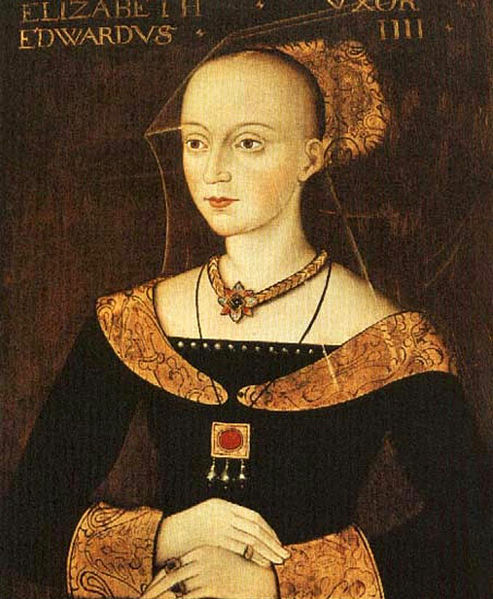 Margaret was born about 1455 in Raby Castle, Durham, England; she died 9/30/1506. She married JOHN BROOKE, Lord Cobham, 7th Baron of Cobham. He was born 10 Dec 1447 in Cowling, Kent, England and died March 3, 1511 or 12. He was born about 1465 in Cowling, Kent, England; died 1529. Lord Cobham married DOROTHY HEYDEN or Haydon about 1494. She was born 1465 in Beaconsthorpe, Norfolk, England. Dorothy was the daughter of Sir Henry Heydon and Ann Boleyn, daughter of Sir Geoffrey Boleyn and Anne Hoo – Queen Anne Boleyn’s great grandparents. Thomas Brooke died July 1529 in Stringston, Somersetshire, England. She was born 1503 in Cobham Hall, Kent, England; her well-known brother George Brooke, 9th Lord Cobham was born about 1497 in Cobham Hall, Kent, England. In 1535 Henry VIII – who desperately sought an heir and a spare – was saddled with a queen and a spare. Pious and beloved of the people, Katherine of Aragon had denied him a divorce. She managed to survive despite extreme emotional abuse that included the flaunting of Anne and being denied access to her beloved only living child Mary. Henry relocated her to increasingly damp and difficult environs. Anne Boleyn had been the other woman, Henry’s case of “be careful what you wish for.” Her arrogant behaviors as queen managed to piss off friends and family – even her self-seeking uncle, the powerful Duke of Norfolk. Henry was disappointed because she had failed to produce the promised son. She delivered one healthy girl, Elizabeth, miscarried a second child and was not getting any younger. In the fall of 1535 Henry first laid eyes on Jane Seymour at Wolf Hall; it was love at first sight. Jane had been a maid of honor to Katherine and was (I believe, at that time) a maid of honor to Anne. From beauty to sensual style of dress, her ladies were eye candy, a virtual smorgasbord of temptation. Henry was in his mid-40s, overweight and sometimes impotent. Jane must have lit his fires as Anne conceived upon his return. Things were suddenly going Anne’s way. On 7 January Katherine of Aragon finally died. On her deathbed Katherine dictated this heartbreaking letter for the king. I commend me unto you. The hour of my death draweth fast on, and my case being such, the tender love I owe you forceth me with a few words to put you in remembrance of the health and safeguard of your soul, which you ought to prefer before all worldly matters, and before the care and tendering of your own cares. For my part, I do pardon you all; yea, I do wish and devoutly pray God that he will also pardon you. For the rest, I commend unto you Mary, our daughter, beseeching you to be a good father to her, as I heretofore desired. I entreat you also on behalf o my maids to give them marriage portions, which is not much, they being but three. For all my other servants, I solicit a year’s pay more than their due, lest they should be unprovided for. 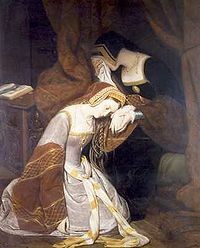 Catholic Europe saw Katherine as Henry’s one true wife; they saw the king as a widower, a free man. In London she was attacked by a mob of seven to eight thousand people who sought her death. Henry’s nobles were “ripe for treason” and (Wyatt family friend) Cromwell responded to the dangers by filling the country with spies. Several weeks after Katherine’s death, Anne miscarried a 15 week old male fetus. One can imagine the cold chill that went down her back when Henry said “I see God will not give me male children” [by you]! 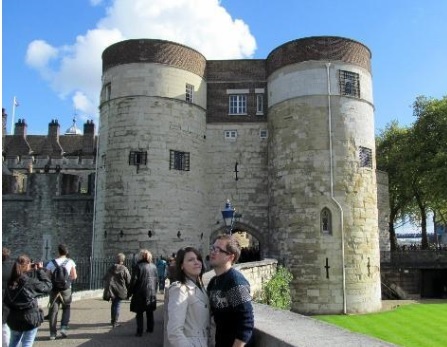 On 18 April, 1536, Cromwell vacated his apartments at Greenwich Palace so Jane could move in. This allowed Henry to see her whenever he wanted; but she was smart enough to maintain her honor. She had learned Anne’s game – and bettered it. The Seymour faction was secretly usurping the Boleyns; and the Wyatts had a connection. 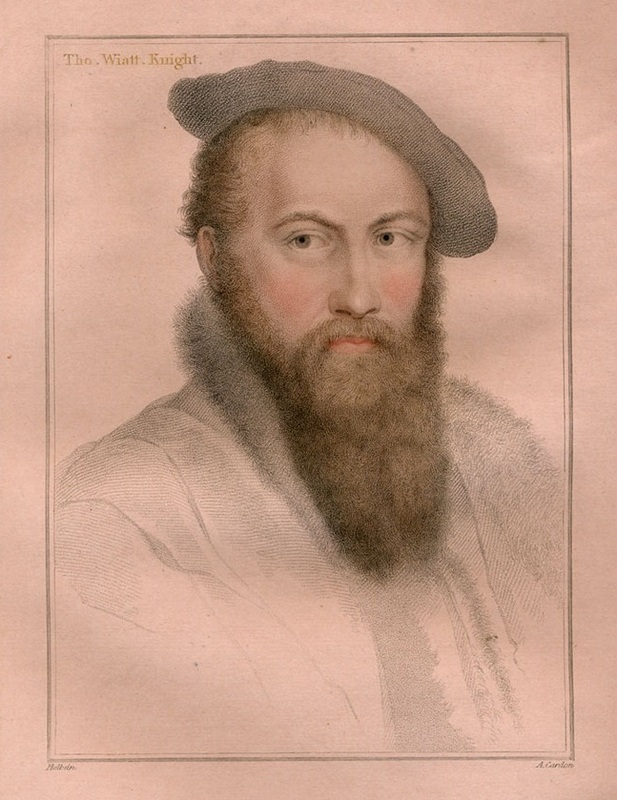 Our Sir Thomas Wyatt had grown up with Anne and George Boleyn, as Allington and Hever Castles were not that far apart; Anne, George and Tom were part of a circle of renaissance types who inspired art, poetry and music within the Tudor court. In April the court was abuzz with excitement about the May Day Jousts. 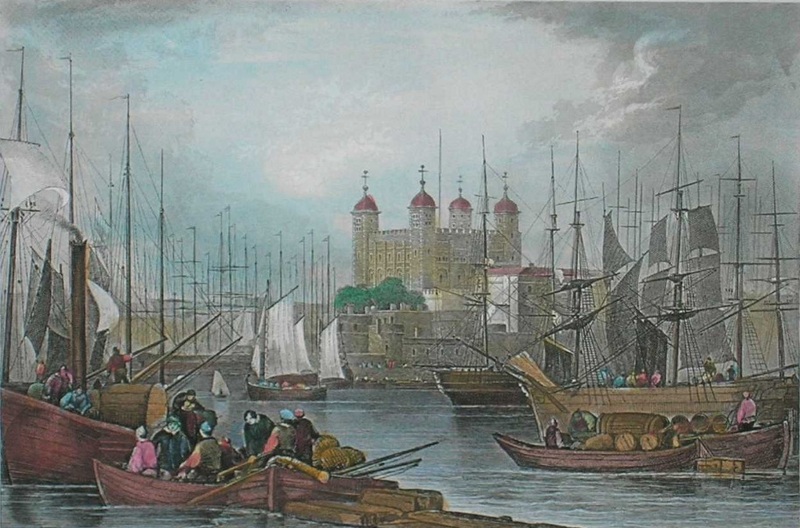 On the last day of the month the king went to Greenwich and Cromwell headed to London. Trouble was simmering beneath the surface. Cromwell invited Mark Smeaton to dinner. Mark – the queen’s musician – was a friend of Tom’s, part of the tight-knit creative circle. Of course Cromwell was implying the queen was showering Mark with riches in return for sexual favors. Imagine the impact of a queen who cheated; kings need to know the heir is theirs. The Tudors series took liberties with the facts … but we get a powerful visual impression of the dynamic. The May Day jousts had just begun. Henry ordered his boat to take him to Westminster, but the jousts should continue as planned. Henry ordered that “when the jousts were over that Master Norris and Brereton, and Master Wyatt, should be secretly arrested and taken to the Tower. 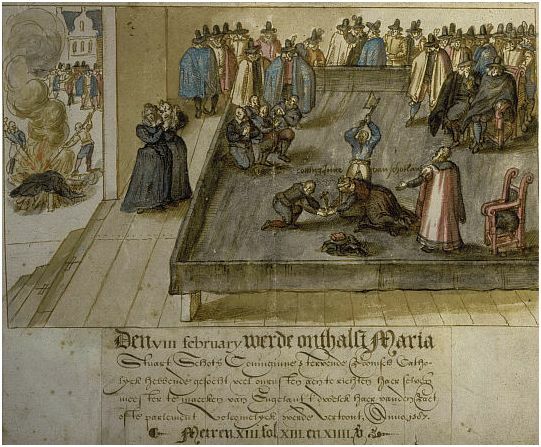 The Queen did not know the King had gone, and went to the balconies where the jousts were to be held, and asked where he was, and was told that he was busy.” She also noticed Mark Smeaton had not come out. She was told he had gone to London and had not yet returned. On 2 May Henry VIII sent the Captain of the Guard and a hundred halberdiers to Greenwich to fetch the queen. She expected to be taken to Henry at Westminster, but they took her to the tower instead. Again, The Tudors exaggerated, but what beautiful, gut-wrenching exaggeration. After Henry learned she was in The Tower, he had her brother George arrested. On 5 May. “Then Cromwell’s nephew said to Master Wyatt, ‘Sir, the Secretary, my master, sends to beg you to favour him by going to speak with him, as he is rather unwell, and is in London.’ So Wyatt went with him. I’m not sure what view he would have had. If anyone reading this knows, please comment. I snagged this photo from TripAdvisor … maybe he looked out of one of these windows? On 11 May Cromwell wrote Sir Henry Wyatt and assured him his son’s life would be spared. Mid-May Jane was moved to a house a mile of the king’s residence at Whitehall. 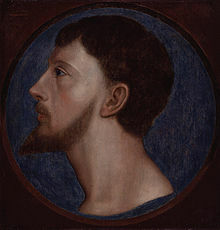 On 17 May George Boleyn and Mark Smeaton were executed. This moving video from The Tudors includes Sir Thomas’ poetry towards the end. On Saturday, 20 May Henry and Jane were secretly betrothed at Hampton Court. 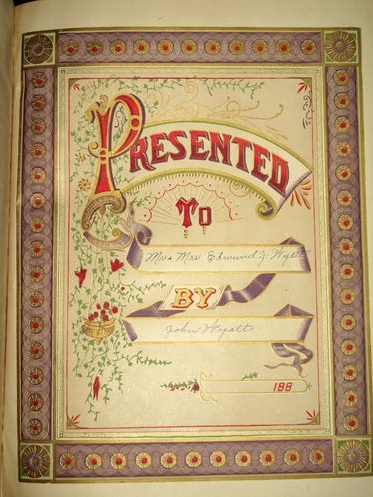 On 30 May Henry married Jane. Jane took care to have her ladies dress more modestly. She caught him, she expected to keep him. On 14 June, 1536 our Sir Thomas was released from the tower, a changed man. 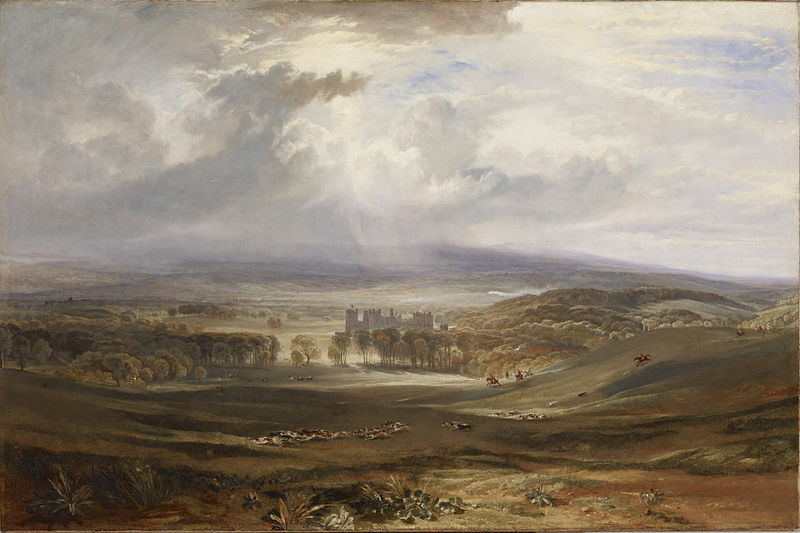 Five months later his father Sir Henry Wyatt died. Henry VII had it all – wealth and connections that helped secure his unsteady throne – and the essential heir and a spare. Unfortunately Arthur – Henry’s oldest prince – died in 1502. The king’s beloved queen Elizabeth of York died in 1503. She had been a kind and loving wife and mother. 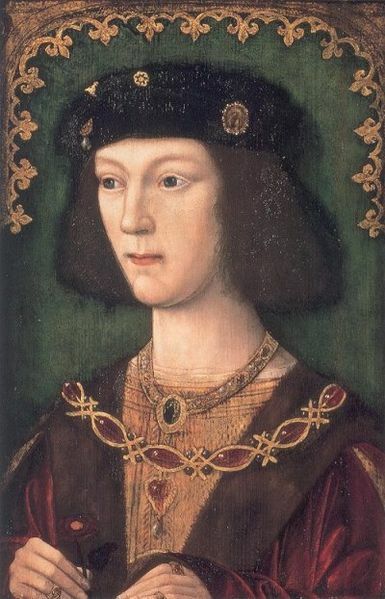 Henry, the younger son, had been groomed for a different path and an aging, widowed and grieving father didn’t have many years to prepare him for the throne. Henry VIII was crowned April 22, 1509 at 18 years of age. He took the throne unopposed, a tribute to his father’s zeal. The Tudor reign was secure. His father’s stinginess left him very well off but he would need guidance. His grandmother Lady Margaret Beaufort knew what her son Henry VII would have wanted. Lady Margaret expected them to “deliberate well among themselves” so that the young king would not be “distracted by difference of opinions.” They behaved as Margaret expected til her death; which came shortly thereafter. Henry Wyatt was knighted – along with others – at Henry’s coronation. This month that recognizes a new pope in our lifetimes is the month that marks the 477th anniversary of our ancestor’s knighthood. Oddly enough, the two have something in common; the power of the Catholic Church. Our ancestor was no friend of Rome. 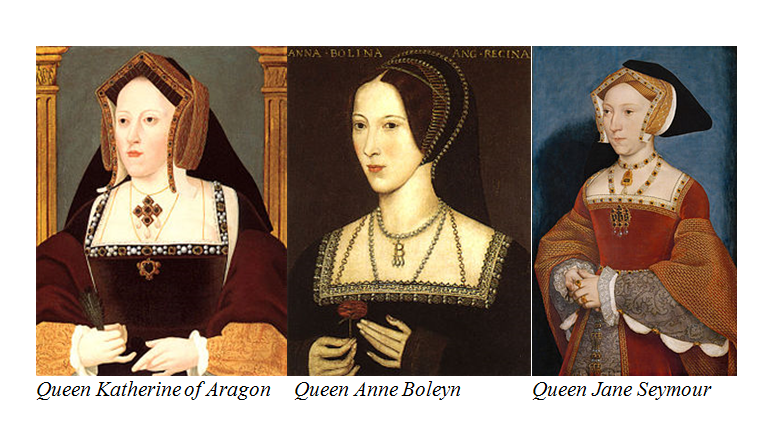 A problem arose when Queen Catherine of Aragon – his brother’s widow – failed to produce the essential male heir. (Their daughter Mary did not count.) After years of miscarriages and stillbirths, the weary queen was entering menopause and our titillating cousin Anne Boleyn was holding out for marriage. Pope Clement was in no position to comply because he was under the control of Catherine’s nephew – Emperor Charles V of Spain. Our Wyatt may have inspired the king’s break with Rome. When Henry expressed extreme distress about being unable to get a divorce, Thomas responded “Heavens! That a man cannot repent him of his sins without the Pope’s leave.” I love that he could speak so freely with the king. Henry and the Boleyn’s family priest Thomas Cranmer nurtured the seed Wyatt planted. Cranmer was made Archbishop of Canterbury; he annulled Henry’s marriage to Catherine so he could marry Anne. At her coronation Thomas Wyatt took his retired father’s place as chief ewerer – “an office formerly of no small distinction” (Nott) and poured scented water over Anne’s hands. Considering their romantic history, that had to be an awkward moment on his end. She was proud of the bulging belly she was sure cradled the essential prince. Princess Elizabeth was born on September 7, 1533, at Greenwich. We don’t know whether Henry’s Dissolution of the Monasteries was financial or spiritual. One would suspect both; he had squandered most of his father’s money and Rome had denied him what he most needed. But there was wealth in the churches. The History Learning Site tells us the term “monastery” can be deceiving since not many of the “religious houses” could be considered monasteries. Larger religious houses were called abbeys, medium sized houses were called priories or nunneries, and the smallest were friaries. Some religious houses were public and performed meaningful services to their communities; others were closed and grew tremendously wealthy over centuries of people paving their path to heaven with gifts of land. When the king wasn’t sure how to proceed with the suppression of the monasteries, our Wyatt suggested “what if the rook’s nest were buttered?” The “rook” being the nobility” and the “butter” being a share of the wealth. There was no insurmountable backlash at first; people had long known about the corruption in some churches and epic greed of the Vatican; it had a long history of digging sticky fingers deep into the pockets of Welsh and English churches. Besides which, the Protestants and the printing presses were making scripture available to the masses. Times were changing. 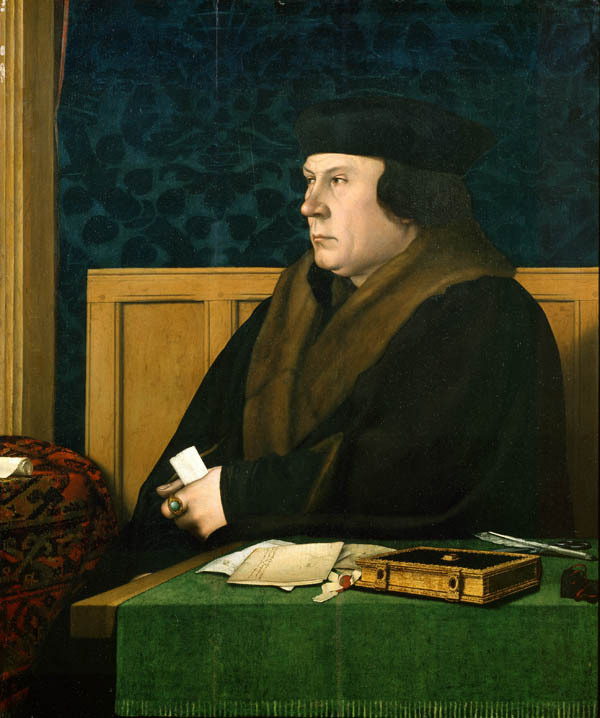 Thomas Cromwell, Henry’s Chief Minister, was a staunch friend of Sir Henry Wyatt and his son Thomas. In 1535 Henry made Cromwell vicegerent for day-to-day running of his church. “Valor Ecclesiasticus” was put into action; it was a process for assessing the wealth of the churches. Initially the reports were inaccurate because they were compiled by unpaid gentry; they could make money by downplaying the documentation of wealth. Cromwell resolved that situation by sending two trusted agents to do the work – Thomas Legh and Richard Layton. They extracted the information Cromwell wanted to see by bullying and backlash began to rise. 1536 was a life-changer for Thomas Wyatt. Catherine of Aragon died in January. I want to believe he cared about her; after all – he clearly saw what Henry and Anne put her through; and he was in love with her Maid of Honor, Elizabeth Darrell. Pride comes before a fall. The second queen had not produced the promised prince. Henry already had his eyes on another and his will would be done without question. In May Thomas Wyatt was sent to the tower due to some a verbal or physical altercation with the Duke of Suffolk; they did not get along. He was in no real danger. On 11 May Cromwell wrote Sir Henry Wyatt to assure him his son’s life would be spared. 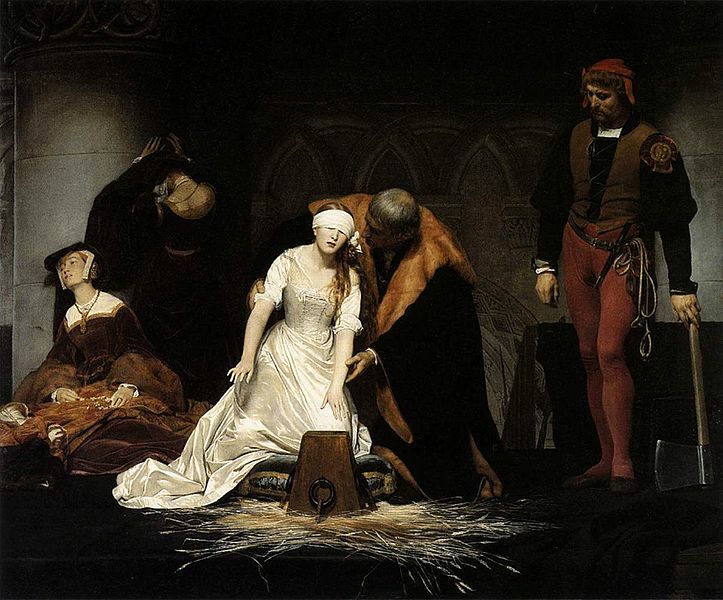 No legal proceedings were taken against him, but he did see Anne Boleyn and her brother George – lifelong friends – beheaded. He was released 14 June. The dissolution of the monasteries was coming to a head. 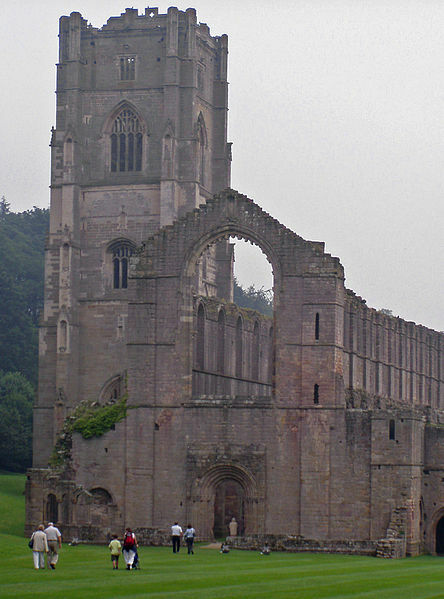 Unrest was especially intense in Lincolnshire, as there were nine monasteries within about 16 miles. Some would be dissolved due to “manifest synne, vicious, carnall and abhomynable living.” On October 1 100 rebels – ordinary men and gentry of Lincolnshire – rose against closures and taxation. They made some of Henry’s commissioners swear an oath to the Catholic Church. By October 7, their ranks may have grown to 30,000. A list of demands was sent to the king on October 9 and he was livid; he called Lincolnshire “the most brute and beastly shire in the realm.” He refused all demands, urged the gentlemen to round up the ringleaders and calm the masses. Lord Hussey and Lord Burgh were unable to raise enough men to meet Henry’s demands. By the time Henry’s troops arrived on Friday the 13th, most of the rebels had gone to spread dissent to Yorkshire and other areas of the country. The gentry had some explaining to do. Some were executed, including Lord Hussey who had not done enough to quell the rebellion. Henry VIII made our Thomas Sheriff of Kent. In November Sir Henry Wyatt died. If he had lived four more months, he would have seen his son attain knighthood. On Easter, 18 of March, 1536/7 Henry VIII dubbed our Thomas Wyatt Sir Knight at Westminster. I was afraid Sir Thomas Wyatt might have been involved in the horrific deception that ended the Pilgrimage of Grace; but Henry had other plans for our socially adept ancestor. In April Thomas was appointed Ambassador to the Emperor Charles V – nephew of Henry’s first dead queen. The Tudors series – available on Netflix – did an excellent job portraying the Pilgrimage of Grace. I felt it helped me understand the issues from both sides. I found this fairly breathtaking; enjoy the photos.